There is no doubt we are living in the subscription economy. Some of the fastest growing, most successful, and best-known companies are based on subscription, or SaaS, business models. This is true for companies that sell to an individual consumer (or household) – think Netflix and Uber – as well as ones that sell to other businesses, like Salesforce and Marketo. These businesses are changing the way consumers buy, and how businesses are valued; but why? Consumers like it because they only pay for what they use. They don’t have to pay for maintenance and service costs are broken down into easy, monthly payments. Customers also feel they can stop any time they feel they are not getting value from their subscription. While this is true, for the most part, it gets interesting when you consider the business implications and valuations being applied to subscription-based companies. Before we begin, let’s define churn. So, what’s negative churn and why is it so important that we wrote a blog post about it? In many cases, Customer Acquisition Costs (CAC) for a SaaS customer is greater than the Year 1 revenue. So, any customer that leaves after one year actually costs the company money – in fact, they would have been better off not selling to them in the first place. This is why many SaaS company executives and investors pay close attention to the Lifetime Value (LTV) to Customer Acquisition Cost (CAC) ratio [Calculated LTV/CAC] to determine the health and growth of a company. For example, a ratio of 1:1 means you lose money the more you sell – based on business operation costs. A good benchmark for LTV to CAC ratio is 3:1 or better. Generally, 4:1 or higher indicates a great business model. If your ratio is 5:1 or higher, you could be growing faster and are likely under-investing in marketing. 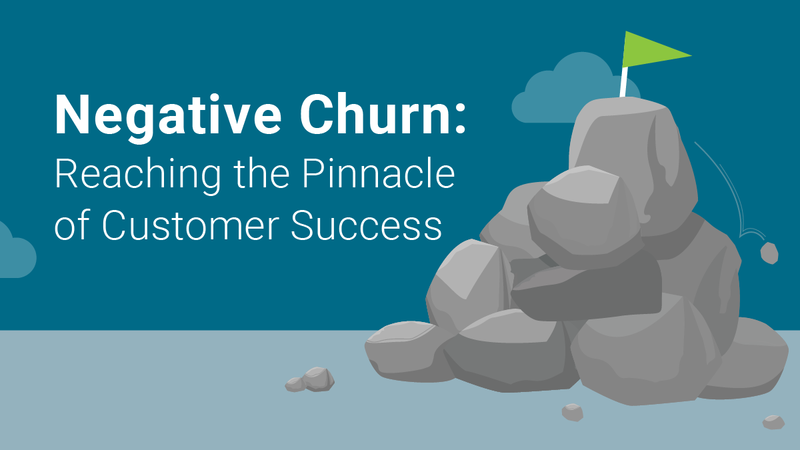 Negative churn is the pinnacle of customer success and should be the goal of all subscription businesses. Negative churn occurs when the dollars generated from renewals and upsells (increased value of subscriptions) is greater than the number of subscriptions lost (non-renewals). What can you do to Achieve Negative Churn? The faster users are introduced to and trained in the product, the more likely they will see the benefit and begin using it. Commit to creating a formalized onboarding process, and measure users taking it. Ensuring people are using the product and getting the desired results is important in creating value and reducing the likelihood they will not renew. Customer Success can monitor to ensure onboarding is taken, adoption grows and usage continues (see below). The number one reason SaaS products are not renewed is that the customer does not feel they are getting enough value from the product. Training helps introduce new users to the product and creates more value for those using the product. Training can be delivered via a knowledge library, weekly webinars, a Learning Management System (LMS) or a platform like Salesforce’s Trailhead. Smart SaaS companies monitor how their product is being used. They share the information throughout the organization, but especially with Customer Success. By measuring usage, companies can identify early warning signs that identify at risk (red) accounts that might not renew. If Customer Success is alerted of red accounts early, they can take steps to improve adoption through training. Alternatively, close product monitoring can identify power users, improve the product roadmap, and opportunities to increase subscriptions (upsells). If no one owns renewals, they will not get the attention they deserve. See above for the importance of a customer staying longer than 1 year. It’s cliché, but true – what matters, gets measured. A SaaS company should know, at all times, what their churn rate is, and if it is trending up or down. They should be doing everything possible to reduce churn and increase renewals. This may include creating a team or identifying a person to be responsible for it. Companies, especially fast-growing SaaS companies, tend to focus on new business – winning new logos, increasing market share, creating momentum. However, as unsexy as they are, renewals and upselling will ensure future growth and success. Too often companies don’t pay attention to the renewal, it’s less of a priority, and it becomes an afterthought. Companies should set alerts to remind reps to engage customers early (at least 60 days prior to renewal), those reps should know the health of the customer – is the primary contact still with the Customer, is the customer using the product, do they have open customer service tickets, etc. Negative churn is the pinnacle of Customer Success, but paying attention to all of these things will not guarantee negative churn. That said, it will go a long way to lowering churn and staying focused on growth, stability, and happy customers. At the end of the day, those lead to a healthy SaaS business. 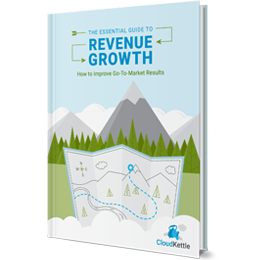 Have questions about how to achieve negative churn at your B2B SaaS organization? Get in touch. We have a long history of helping SaaS organizations with Customer Success and love solving new challenges.